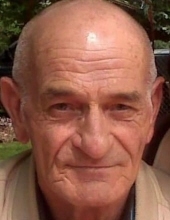 Dale Kirk Ford, 75, of Kent City, passed away on January 20, 2019 at home. He was born on July 6, 1943 to Harold and Edna (Cousineau) Ford in Moorland Twp, Muskegon Co., Michigan. Dale was a farmer and a truck driver before his retirement. On November 8, 1986 he married Judith Freeman in Hesperia. He is survived by his wife Judith, four daughters: Jackie (Tom Wreath) Ford of Ravenna, Stephanie (Steve) Millis of Muskegon, Michelle Wiggins of Cedar Springs, Toni (Tom) Nolff of Kent City; two sons: Mark Johnson of Fremont, Brian (Shannon) Johnson of Grant; 20 grandchildren; 26 great-grandchildren; two brothers: Keith Marion Ford of Bailey, MI, Darrell (Brenda) Ford; two sisters: Adeline Osmer of Sparta, Darlene Wagner of Ravenna; mother-in-law Glenna Freeman; several nieces and nephews. He was preceded in death by his parents, and his sisters Minnie Pant and Nancy Bennitt. Visitation will be held Saturday, January 26, 2019, 11:00 am - 1:00 pm at Fields-McKinley Funeral and Cremation Services, Grant, Michigan. A luncheon will follow at the Grant Community Building. Memorials are suggested to the Alzheimer's Association. Please share your memories of Dale online at www.fieldsmckinley.com. To send flowers or a remembrance gift to the family of Dale Kirk Ford, please visit our Tribute Store. "Email Address" would like to share the life celebration of Dale Kirk Ford. Click on the "link" to go to share a favorite memory or leave a condolence message for the family.